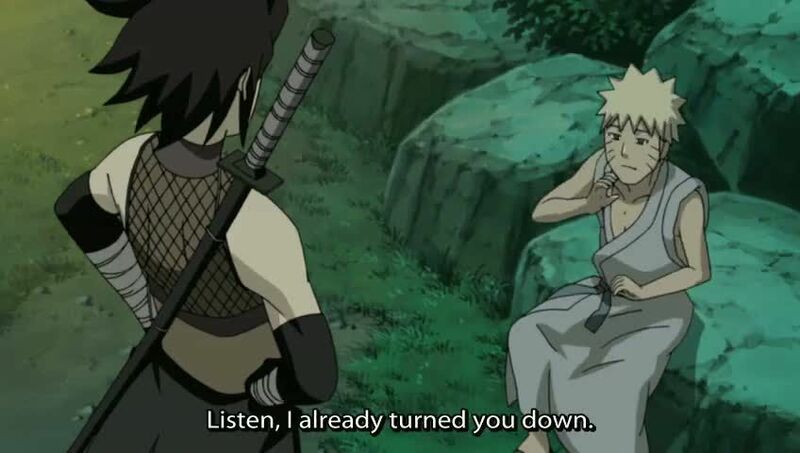 You Watch Naruto Shippuden Episode 235 online English sub free episodes with HQ / high quality. Stream Anime Naruto Shippuden Episode 235 English Subbed The Kunoichi of Nadeshiko Village. A man named Kokuyō wants Shizuka as his wife in order to gain control of her village, a proposition which she repeatedly rejects. Tokiwa, Shizuka’s attendant, sees Naruto and tells him he should marry Shizuka if he defeats her, as Jiraiya promised to Shizuka’s mother. Naruto declines the offer, but Tokiwa tracks him down and explains Shizuka’s past and asks him to reconsider, which he does. He fools Aoba, Guy, and Yamato to buy some time. He defeats Shizuka right before Kokuyō attacks her, only to be defeated by Naruto’s Rasengan. Naruto convinces Shizuka that she can change her destiny by talking to her about his unrequited love for Sakura Haruno.